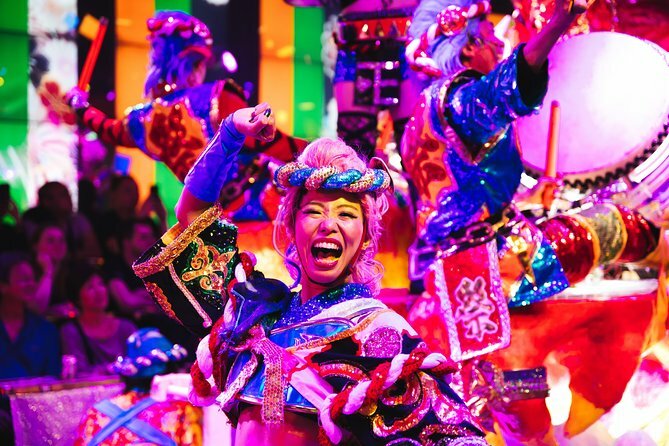 Book the ticket now for the one-of-the-kind Robot Restaurant Cabaret Show in Tokyo featuring special discount! This product is featuring the matinee show starting at 4pm, which is perfect for travelers who have nothing planned for the afternoon or families with young children. You also have the options to book later show time starting at 5pm, 7:50pm and 9:45pm. Prepare to have your mind blown by an out-of-this-world spectacle of robotic monsters, neon-clad dancers and high energy music for 90 minutes. The Robot Restaurant is located in the center area of Shinjuku, where you can easily stroll around or do some shopping before and after the show! Arrive 40 minutes early at Robot Restaurant before showtime and, after check-in at the ticket counter, head to a lounge area where you can grab drinks or food at your own expense while enjoying live music before the show starts. Sit back in your seat and be amazed by the flashy neon lights, dancing girls in colorful outfits, giant robots, and other oddities like a robot monster and dinosaurs. The show is accompanied by traditional Japanese "Taiko" drums and techno music — a crazy fun-filled spectacle not to be missed! Food and drinks are also available for purchase at intermission. The food options are sushi bento and BBQ bento, and drinks include draft beer, canned beer, sake, alcoholic coolers, mineral water, and various soft drinks. Great show! 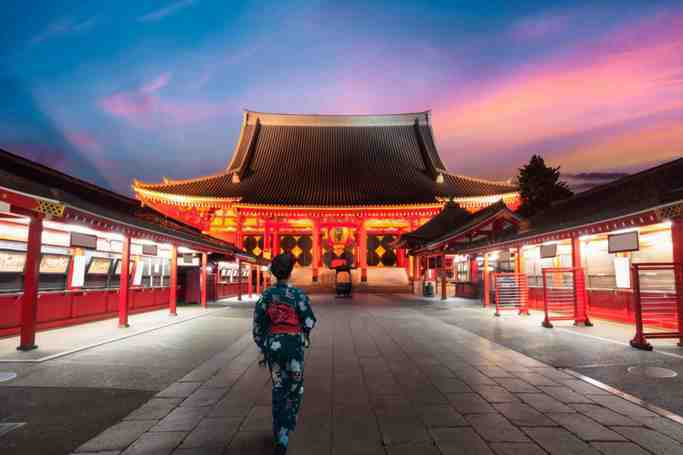 Something everyone should experience once while visiting Tokyo. This show is exactly as advertised - crazy, insane, fun, noisy, high energy, and these performers are very talented. We are 70 years old and maybe the show was more suitable for the 20 crowd, but we had so much fun. Although all the maps will tell you it is 500 meters from the subway station, they fail to mention that it is across a major street in Tokyo that has a fenced median down the middle. So, allow for an extra 15 minutes when walking to or from the subway. Picking up the tickets was directly across the street or lane from the show and once inside the crazy kaleidoscope of colour you are whisked to an upper level disco/bar to wait until the show begins. I am on a cane and as soon as I cam off the elevator the hostess came over and told me that when it was time to go down to the show level I should come back to her with my party and they would take the 4 of us down by elevator instead of the stairs. It was perfect. It is assigned seating when you get into the show and the food we had ordered was delivered to us at our seats before the show. The food was a decent price and good. We had fish and chips and there was plenty of fresh battered fish and crisp hot fries. There is also an opportunity to buy drinks, popcorn, snacks, and all sorts of goodies during the three intermissions at the show. Experiencing the insane side of high-tech robotics was something novel and we enjoyed it. All you need is an open mind, a sense of adventure, and 3 hours to have fun and immerse yourself in high-energy, noisy, and creative fun. We are glad we took a chance and enjoyed the experience. The show is craazzy. The 1st act is the best out of 4. The show is clearly for non-locals as apart from acts 12, there isn't much to do with Japanese culture and that is very loose interpretation of Japanese culture. I do feel it ran out of steam as act 3 was ok with mostly early Michael Jackson songs but the dancing and energy was gone. Act 4 was purely for a western audience with the main song being uptown funk from Bruno Mars. That may be a positive for you. Would I recommend seeing it.....Yes. As i said at the beginning that it's craazzy. You won't see anything else like it. The lighting, Moving platforms, and the performers must cost a hefty amount but maybe not the 55 full price as the show only last 40 minutes max. The 50 extra minutes are for the intervals. The show ticket does include the bar and a drink. The bar does have entertainment though in the form of a robot dressed band and a singer. Enjoyed the first part of the show with live drumming. The rest of the show is still entertaining nonetheless. Some crazy thing to do in Tokyo. Some reviews complained about the various breaks but I think it's necessary for them to prepare and move things around given the small space. It's called cabaret and it's called a restaurant, but it is none of those things. This experience is surreal. I really enjoyed the first half, but I was ready to go by the end but it is a novelty experience. If you like wacky experiences, then you'll love this! It really is everyone's fantasy of a Tokyo basement come to life. Lots and lots of drunken foreigners. I do not regret going to the Tokyo Robot Show. That said let me explain. It was loud I expected this. It was noisy I also expected this. It was expensive which I knew. However I do not know if there was nor did I see any story line. Tickets include one drink My wife and I ordered beer. The seats face the arena and unless you sit in the middle you miss what is happening at the other areas. Some of them are not really robots - they are big animated toys controlled through someone walking behind with a hand-held controller. The others may be RC controlled big toys Im not sure. They advertise this as the only robot show in the world. As I said I dont regret going just know what you are getting into. We were FIVE minutes late and were unable to enter. I could understand half an hour. Even 15 minutes. But 5??? !